At one point or the other in our lives, we are all guilty of prejudicing. The power of prejudice is so strong that it takes the Grace of God to resist the temptation and to overcome this big evil. We do it all the time, knowingly or unknowingly. When you tell yourself or think to yourself; oh no, i don’t want to converse with this person, because he/she is an illiterate, has a poor sense of fashion, is unattractive, is not educated, and isn’t on the same social status with you, or you think the religion you practice is superior to his/hers, etcetera. Let your circle of friends be filled with different colours, not just one!! Maybe, that other person doesn’t even practice any religion, so we believe we are better. We think because we are educated, we are better than those who don’t, who probably didn’t get the chance. We think because we have access to google and all that information on the internet, our mechanic (if he didn’t go to any school) has to be wrong when he points out a fault in our car, because we are thinking, that can’t be it, i have googled and this must be it. You think to yourself, oh that person speaks unintelligibly all the time, so why should i waste my time talking to him or her? Or you think, oh my, this person is downright ugly, i cant be seen talking to him or her. Or you offer a smile to a very handsome looking and beautifully dressed guy or a lovely looking chic but offer a sarcastic smile to someone who looks the opposite, you were probably thinking, why the F does he/she look that way, mhhh…..i better be on my way. You might also be thinking, oooh i have a white-collar job, why should i be friendly with someone who has a blue-collar job or is jobless? 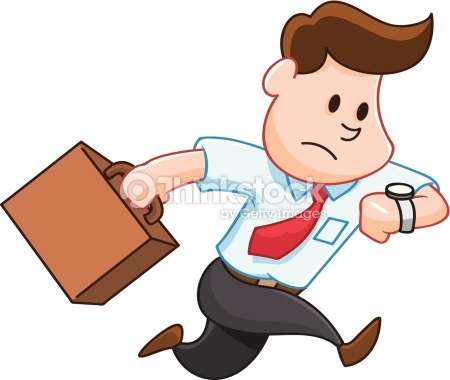 White–collar work is performed in an office, cubicle, or other administrative setting. Other types of work are those of a blue-collar worker, whose job requires manual labor and a pink-collar worker is one whose labor is related to customer interaction, entertainment, sales, or other service-oriented work. Now who made this look Official?? Where the heck did this idea that white-collar is the best come from anyways? That’s why a huge chunk of youth population today would sell their souls just to work in white-collar organizations, that is also why there is a rapid decrease in creativity, innovation and entrepreneurship. which all partly leads to “high cases of unemployment”. This also why we have something called formal and informal workplace dressing, casual dresses, etc. When you don’t look all suited up for work, there is a problem……Aaaaarrgh!! This is also the reason many people are going PLASTIC, even the world has gone Plastic..so unreal, so PLASTIC!! 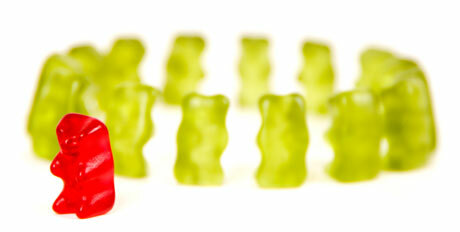 Simply because we are underestimating the power of Prejudice. I like this definition of Prejudice from vocabulary dot com, it says ‘a partiality that prevents objective consideration of an issue or situation’. It also means having a negative attitude towards someone based on their race, religion, social status, political status, economic status or ethnicity when you have no direct knowledge or experience or personal experience with the person or group of people. 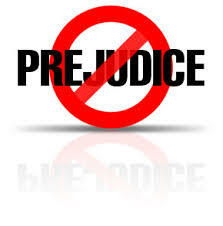 If you prejudice someone, you cause them to have a negative attitude towards someone else, which shouldn’t be. For instance, Lawyers are not allowed to bring certain types of evidence such as rumors into a trial because it might prejudice the jury. 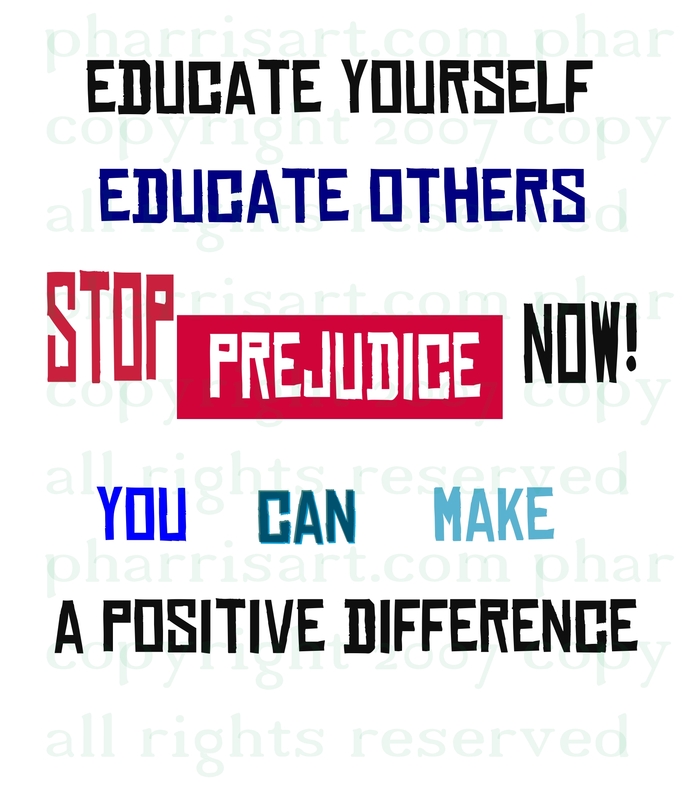 You can make a difference…Educate yourself and others and stop Prejudice!! Lastly, Life is so short and just like a mirror. We can only see as much as it reflects. So let us make an effort to not be too arrogant or proud by looking down on others because of their current situations because you don’t know how they got there in the first place. And if you do know how they got there, do not add to their sorrow because you think or know or believe you can never find yourself in that position. If you can help them on their feet, try to, if you can’t, pray for them. Things get changed with time just like the weather..! Don’t under estimate anyone because everyone has a great future! Pray to your creator (whoever you believe is) to help you overcome the spirit of prejudice. Make it a duty never to look down on anyone regardless of the situation or condition. Be selfless!! I make it a habit not to act or relate with someone i have heard negative things about, based on what i have heard, i call it, giving every person the benefit of a doubt, while also keeping in mind that I, myself, am not perfect. This doesn’t equal to not calling someone out when they do something that doesn’t go down well with you. It does mean letting them know exactly what they have done that you do not agree with instead of spreading this information if you cannot let it go!! Next Cat and Goose…ever wonder why??? This piece is well rounded Mj. Well done! one human at a time, yes it can, nothing is really impossible, we only need open our minds.